We are a group of observant Jewish students who have come together from the four corners of the earth to publish articles on, and blog about, the Land of Israel. Our aim is to provide you with articles, videos, images and facts which show both Eretz Yisrael (Land of Israel) and Medinat Yisrael (The State of Israel) for the beauty she really is. We hope you like our web network and find the content we publish interesting and enjoyable, and we hope that you keep visiting us to find more up to date and interesting material. Please note however that this web network is new and still under construction so some areas of our sites aren’t as filled out as others. Please keep checking back to see what’s new! Latest content from our new moderator! You could feel it coming. Everyone was waiting for the date to arrive. The main festivities started with a march from Yeshivat Mercaz HaRav, where 8 young bnei torah were horrifically murdered four years ago by a Palestinian terrorist over their yeshivah. 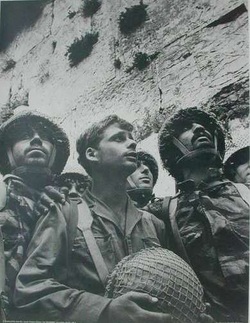 Since the massacre, a tradition started to walk from the yeshivah to the Kotel. At the yeshiavh, hundreds of people packed in for the Tefilot Chagigit, and then the dancing started. A couple of people had bongo drums, the march was directed by men with megaphones leading the singing with the songs, leading the hundreds of people clad in Israeli and Jerusalem flags, waving them on poles. This scene sent a chill down my spine, realizing what we were celebrating. View full post on our blog here. Follow us on one of our social sites!